Safe. Clean. And always green. With the SYNLawn® Landscape System you will save money on your maintenance costs and you may even get money back from your local water authority. 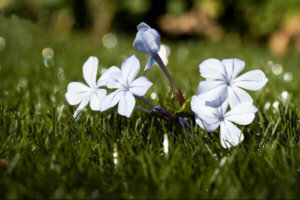 All this while providing luscious, green, earth-friendly landscape solutions to help you do your part for the environment. Now is the perfect time to take advantage of all the benefits SYNLawn® has to offer. SYNLawn’s® extensive research, development and state-of-the-art manufacturing technology,has tracked proven results. With professional grade greens and true ball-roll performance, amateurs and professionals alike, experience superior results with Certified GreensMaster™ designs and installations. Don’t take our word for it – just ask Tom Watson! When it comes to children, nothing is more important than their safety. 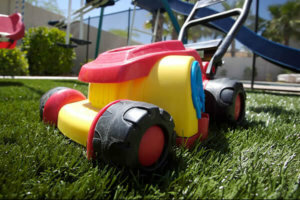 That’s where the SYNLawn® Playground System comes in. It’s the safest, “greenest”, most consistent playground surface in the industry. Providing consistency in high traffic areas, in any weather and under all types of play equipment makes SYNLawn®the safest choice. We understand every pet owner has different needs. 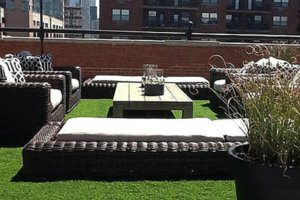 Our Pet System focuses on finding the right mix of artificial grass and installation technique for your project. 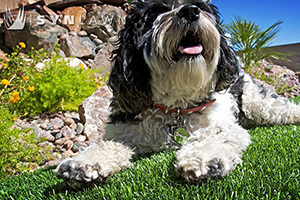 We work with you (and your pet) to determine the best and safest solutions; whether designing for little critters to large dogs, pet runs or parks, or small budgets or large…SYNLawn® has the answer. SYNLawn® can enhance your quality of life by creating more usable and functional spaces. Simply transform rooftops, patios, decks and pool areas, into beautiful outdoor living areas. Innovative, “green” solutions provide many creative possibilities for using grass in areas never before imaginable! SYNLawn® is the perfect solution for commercial landscape projects. Municipalities,schools, restaurants, office buildings and residential complexes. Aside from the obvious cost saving advantages, SYNLawn® is not only good for the environment, it contributes to LEED certification and can be installed in places where natural grass is simply not the answer. 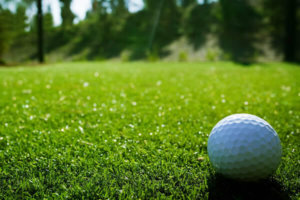 Synthetic Lawns & Golf, Inc. is the leading provider of artificial landscape throughout New Jersey, and North and Southeast Pennsynvania, supplying these areas with the unsurpassed variety and quality of environmentally friendly artificial grass products. 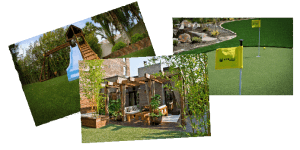 SYNLawn® synthetic grass solutions have set an industry standard for being the most reliable, durable and user-friendly option for residential and commercial properties in the region. The Research and Development Department at SYNLawn® has worked in cooperation with customers and retailers to provide this beautiful, yet affordable, product that requires little-to-no maintenance and is unsurpassed for its realism and environmental benefits. 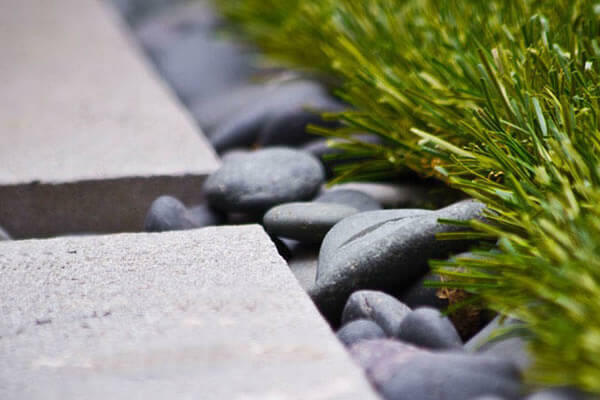 It is the perfect landscape solution from backyards and playgrounds to patios and backyard putting greens, rooftops and everything in between… the possibilities are endless. SYNLawn’s® products have been tested and retested to ensure that they have the realistic look and feel of natural grass. They are manufactured with exclusive, performance-oriented materials that are backed with the most extensive manufacture warranty in the industry. Whether you’re looking for an indoor or outdoor installation for your home or business, choose the most trusted name in the industry… choose SYNLawn.® Contact us today to learn more. SYNLawn, remains the leading innovator in artificial grass products for all your commercial and residential applications. Synthetic Lawns & Golf Inc. Copyright 2019 © Synthetic Lawns & Golf Inc. All Rights Reserved.